The movie version of Dracula, starring Bela Lugosi, was filmed in October-November 1930, and released in February 1931. 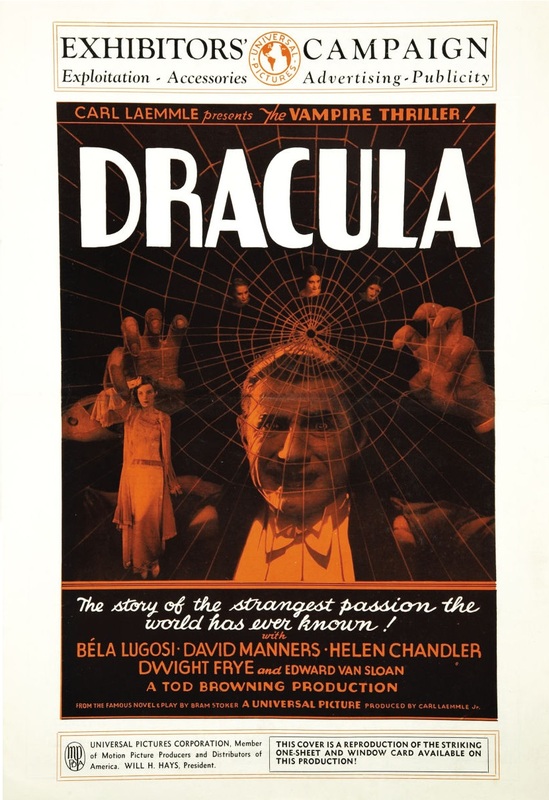 With it, as with many movies, Universal released a press book, containing advertisement graphics for use by theatres booking Dracula, and a series of “news” articles on the movie. Five of these articles center on Lugosi: his life, his career, his playing of Dracula. These contain many quotes attributed to Lugosi, but perhaps are only fabricated by publicists. Among other topics, Lugosi tells—allegedly—in the articles of an encounter with a vampire, of the strain of portraying Dracula, of the terror he invokes. The articles, and variations of them might have appeared in the newspapers of any town where Dracula played. A legend was born. Included in this section is the transcript of a radio broadcast Lugosi made on March 27, 1931, promoting Dracula, and his “unlearning fast” speech, in which he describes—allegedly—his difficulties in abandoning his stage techniques to play Dracula on the stage. Like the more outlandish claims of the press book articles, the “unlearning fast” speech cemented the notion that Lugosi was primarily a stage actor: a charge that would follow him for the rest of his life, and beyond. Transcriber’s Note: The article below is from the Press Book for the 1931 release of Dracula. As a product of Universal publicity department, the authenticity of its quotes is questionable. Presumably, Lugosi was never actually attacked by a vampire. Whether he or a studio publicist concocted the tale is unknown. The strangest creature in America is living today in Hollywood, surrounded by a brooding atmosphere of horror and madness. A tall, straight figure of a man, he goes among his fellows with a strange aloofness that marks him as a man apart. Unfathomable thoughts gleam behind his deep-set eyes, and on his throat he bears two tiny wounds that prove a terrible attack by a human vampire. Bela Lugosi is the name of this strangest of men, a Hungarian born amid the black mysterious mountains where vampires take a heavy toll among the natives, and the whole country side lives in terror of the night. For it is only after sunset that these strange undead creatures rise from their graves. Perhaps no other actor in the history of the American theatre has become so associated in the minds of the public with a character he has played on the stage as Bela Lugosi, who created the title role of Count Dracula when the strange vampire play Dracula was first produced in New York, and who has since been seen in the character in every important city in the United States. By most theatergoers his own personality has been entirely overlooked, and he has seemed actually to be Dracula, the most terrible vampire of Central Europe. The screen version of this hair-raising story is just completed by Universal. Transcriber’s Note: The article below is from the Press Book for the 1931 release of Dracula. As a product of Universal publicity department, the authenticity of its quotes is questionable. Bela Lugosi never did learn to play Dracula mechanically. The famous Hungarian actor has starred in this strange play for more than two years, and during all that time he was worked up to a high pitch of emotional intensity which actually had a devastating effect on his health. He made a hit in a colorful role on the stage—but most of the time he didn’t know what he was saying! Appearing as the star of a traveling company presenting plays in the Hungarian language, Lugosi had failed to learn English, but his performance in one of the plays in his repertoire led Henry Baron, a New York theatrical manager, to approach him with an offer to play a role in The Red Poppy, which he was to produce in the following fall. Fortunately, Baron could talk German, and in this language Lugosi confessed his inability either to understand or speak a word of English. Though he was at first filled with doubts, Baron finally agreed to the proposition; and Lugosi immediately entered upon an intensive course of study. At such short notice he made no attempt to learn the English language, but under the coaching of his tutor he learned his entire role phonetically, as one might learn the music of a song. He simply memorized and imitated the sounds made by his teacher. Three months later the company came together for the first rehearsal. The other members of the cast, typewritten parts in hand, either read their speeches or stumbled through them in a halting fashion. But Lugosi was letter-perfect, and gave such a convincing portrayal of his role that the other members of the company gathered around him and began to offer their congratulations. 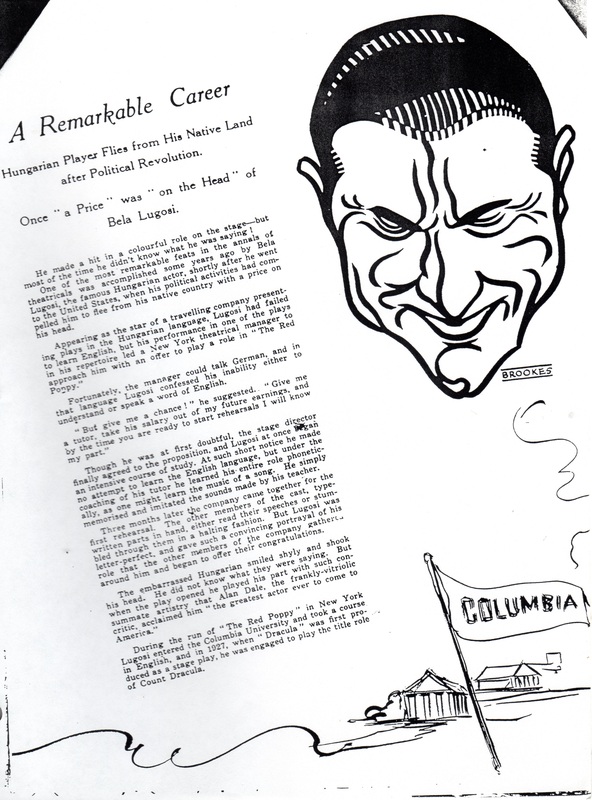 During the run of The Red Poppy in New York, Lugosi entered Columbia University and took a course in English. One of the most famous of all actors on stage or screen would like to forget the character that made him famous! Audience on Broadway were thrilled form more than two years by his artistry; millions of picture fans throughout the country are being fascinated by the startling impersonation he gives on the screen. But the character haunts him, and he never wants to play it again. The actor is Bela Lugosi, and the character is Count Dracula in the most startling of all plays or pictures—Dracula. Bram Stoker, the famous English novelist, wrote it first as a novel—this terrifying narration of an “undead” being who rises from the grave at night and through his horrible influence brings death and suffering to his victims. For more than a thousand nights, Lugosi played it in the theatre. Then when Universal Studios decided to produce the great story as a picture, Lugosi was the natural choice for the role he made so famous on the stage. At first, it was difficult to prevail upon him to appear on the screen. He had lived the horrible vampire character so long on the stage that he wanted to forget, and how could he forget if he played it again on the screen! But he finally consented, and for weeks at Universal City studios while the picture was in production, he lived again the startling and fantastic role of Count Dracula. Those who have seen both play and picture assert that his impersonation for the films is even greater than his stage work. But now that the picture is finished Lugosi says he will never play the role again. And Lugosi’s determination is in itself a great tribute to his ability as an actor. If he had been able to act the part mechanically—had not thrown himself heart and soul into the role—it would not have the terrors that it now has. But a great artist does not play mechanically, and Lugosi is a great artist. Thus, each night in the theatre and for many days at the picture studios, his nervous system has been subjected to a terrible strain. Dracula brought him fame and fortune, but Lugosi wants, more than anything else, to escape from Count Dracula. They always gasp when they meet Bela Lugosi! 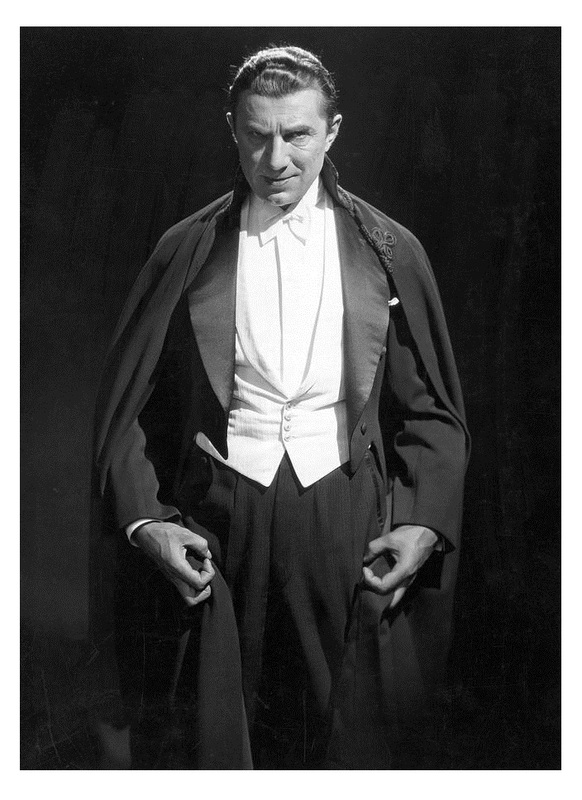 For years Lugosi played on the stage a sinister vampire, Count Dracula, in the stage play of Dracula, and the character was maintained at such a high pitch of dramatic intensity that he came to be looked upon by theatergoers as really a strange being of the most horrible description. This reputation clung to him outside the theatre, since the artistry of his performance created an effect on the audience that was not dissipated at the close of the performance. The polished, kindly gentlemen, smiling his shy, warm smile, has ceased to be surprised at such a reception, but he is inclined to regret it a tiny bit. A log fire blazed merrily in a gigantic fireplace which formed a part of a set representing an enormous room in a crumbling stone castle, and though the microphones were hung at a considerable distance away, the sound technician promptly brought work to a standstill. “Too much roar in that fire,” he said. And so Bela Lugosi and Dwight Frye, who were to appear in the scene, sat around on the stage for a while, waiting for the fire to die down. Transcriber’s Note: Bela Lugosi’s statement below was released as part of Universal’s publicity forDracula, and the words may be a publicist’s rather than Lugosi’s. It has been published in a number of sources, and played no small role in the Lugosi-was-stage-actor-first arguments of both some of his fans and detractors. On the stage the actor’s success depends wholly on himself. He goes onto the stage and gives his performance in what to him seems the most effective manner. But in the studio the responsibility is shifted to the director, who controls the actor’s every move, every inflection, every expression. In playing in the picture, I found that there was a great deal that I had to unlearn. In the theater I was playing not only to the spectators in the front rows but also to those in the last row of the gallery; and there was some exaggeration in everything I did, not only in the tonal pitch of my voice, but in the changes of facial expression which accompanied various lines or situations. I “took it big” as the saying is. But for the screen, in which the actor’s distance from every member of the audience is equal only to his distance from the lens of the camera, I have found that a great deal of the repression was an absolute necessity. Tod Browning had continually had to “hold me down.” In my other screen roles I did not seem to have this difficulty; but I have played Dracula a thousand times on the stage, and in this one role I find that I have become thoroughly settled in the technique of the stage and not of the screen. But thanks to director Browning, I am unlearning fast. Transcriber’s Note: Louisville was a stop on a brief tour that Lugosi undertook to promote the release of Dracula. Transcriber’s Note: Bela Lugosi read the text below on a radio broadcast too publicize the release ofDracula. Lugosi pasted the script in his scrapbook, where Forrest J Ackerman found it and published it in the April 1963 issue of Famous Monster of Filmland. Though Ackerman had “the feeling that Bela composed and typed this speech himself,” we believe it is more likely a product of Universal’s publicity department. Almost all the published interviews and articles of 1931 on Bela Lugosi are derived from the press book for Dracula (see above). Not until November does a substantive new interview appear. Meanwhile, new information nibbles around the edges of his life. He becomes a citizen in June, corresponds with a dramatics club in Wisconsin, and admits to a fear of heights. Perhaps the most interesting new Lugosi anecdote is relayed by actor Edmund Breese, who tells of an embarrassing onstage moment..
Hollywood—(CPA)—Key man in four pictures, signed up for another, and he’s never seen himself on the screen. This is the remarkable record of Bela Lugosi, the Hungarian actor whose work in the film version of Dracula is sending shivers down many a spine. He ought to be able to make’em shiver. He played that vampire role for three years on the stage before universal translated the shivers into celluloid. Meanwhile Lugosi has never sent shivers down his own spine because he’s never seen himself as the horrendous critter about whom the story is written. On the day Draculaopened in Los Angeles he sailed for Honolulu to make another picture. Between the time he stopped work in the vampire role and the time he sailed for Hawaii he had played in two other pictures and been signed up for a third. None of these films has yet been released and Lugosi hasn’t had time to glimpse himself in the studio projection rushes. Well, Helen Chandler didn’t make much about it, either. Transcriber’s Note: The below is adapted from a syndicated news release, and variations may have appeared in many newspapers on or about April 23, 1931. Bela Lugosi, the vampire in the Broadway production of Dracula, has given a local mystery play club its inspiration. The group under the direction of Mrs. D. P. Newton, 2356 Monroe St., is one of the three small dramatic groups at the city YMCA. The bat of the group, Jim Barris, a Central High School freshman, wrote to Mr. Lugosi telling him of the clubs and its aims. It’s now a dangerous act to cross the portals of the group without hair-raising and mysterious events keeping the reputation of the club up to the standard set by the vampire. Transcriber’s Note: The below is adapted from a syndicated news release, and variations may have appeared in many newspapers on or about June 27, 1931. Los Angeles—(AP)—Just to make certain, Bela Lugosi, film actor, who took a leading role in the screen thriller Dracula renounced allegiance yesterday to both Rumania and Hungary, so he could become a citizen of the United States. Lugosi said in federal court that he was not certain whether his home town, Lugos, formerly of Hungary, is still in that country or in Rumania. No one seemed to have a map showing the now Rumanian city, so the actor renounced both countries and took the oath of alleiance ot the United Stated. Transcriber’s Note: The below is adapted from a syndicated news release, and variations may have appeared in many newspapers on or about July 2, 1931. Hollywood—(CPA)—They were seated around a table at the Brown Derby, talking about their most embarrassing moments. Even a movie actor can sometimes be embarrassed, and not only financially. Russell Gleason said he nearly died of chagrin when he bounced out on a movie set, all made up and ready to act, only to discover the set deserted and his company on location a couple of miles away. Anticiapting a 4 o’clock in the morning call, Gleason has slept in his dressing room and awaken at 10 a.m. His second most embarrassing moment was when he went through his first rehearsal of a movie love scene. Students from a Japanese navy academy were visiting on the set and when Russell gathered the heroine to his breast the students hissed. It developed, however, that they were only making the oriental sign of admiration. Louise Fazenda said she thought she’d faint when, in a very early comedy, she found out what was required of a prop boy toward whom at the moment she had a heart flutter. The boy had to drop horse shoes down the voluminous bloomers that she wore. Edmund Breese said he darn near did faint when he swore allegiance to the czar one night in a town hall in Indiana. Breese, traveling with a small theatrical company, was supposed to draw his sword and shout: “For God, the czar and my country!” He shouted all right, but he flourished the sword with no much enthusiasm that the weapon stuck in the low wooden ceiling of the stage. It took the efforts of two men to pull it out so that the play could go on. Bela Lugosi, whose portrayal of Dracula would lead you to believe that nothing could get his dramatic goat, once admitted to Breese that he was awfully hot and bothered when a stage murder failed to come off according to schedule. Lugosi was supposed to fire a blank cartridge at the villain. He pulled the trigger, and the villain fell, but no bang resulted from the gun. Realizing his error, the villain arose and began to walk off stage. Lugosi threw away the gun and leaped after him with the idea of ending the miscreant with his bare hands, when a property man in the wings fired a shot and the villain, whose back was toward Lugosi, promptly fell dead. It knocked the plot for a loop, but the plot in this respect had nothing at all on Lugosi. Transcriber’s Note: The below is an extract syndicated news column that appeared in many newspapers on or about November 1, 1931. HOLLYWOOD. Oct. 31—UP—In Hollywood there lives a man rapidly advancing in motion pictures, but caring not for the social life of the screen colony. 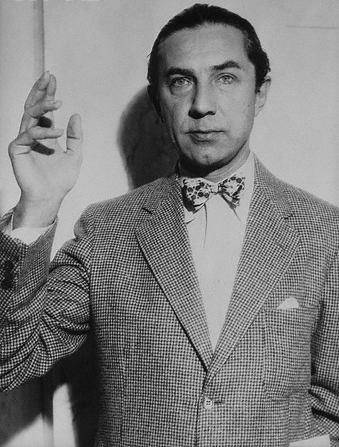 He is Bela Lugosi, who made audiences shiver when he portrayed the role of the vampire man in Dracula on both film and stage. He lives in a small house on a side street. The outside of the structure gives no inkling of the big, high-ceilinged study within. In the rooms is the real Bela Lugosi. Lugosi does not give you any shivers. His appearance, to the contrary, is that of an amiable man who is enjoying life in his own way. In this Lugosi is not shamming. He knows world affairs. His conversation shows it. Lugosi came to America from Hungary. In his native city of Budapest he was a member of the theatrical society. The city controls the theater and to be a member of the society is an honor. Lugosi will be seen next in Murders in the Rue Morgue. Hollywood has done things to Poe’s story.